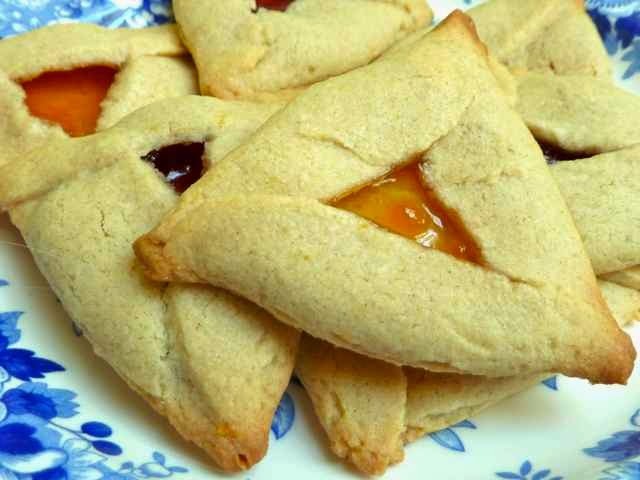 Hamantaschen are triangle shaped cookies typically made for Purim. Purim is a Jewish holiday that commemorates the salvation of the Jews in Persia about 400 years BC. Some of the things you do to celebrate this holiday are reading the Book of Esther or the megillah (This is where the expression the ‘whole megillah’ comes from as this is a long story. ); giving money or food to the poor and to whomever asks; sending food to a friend (preferably via a child or other person); and having a celebratory feast. 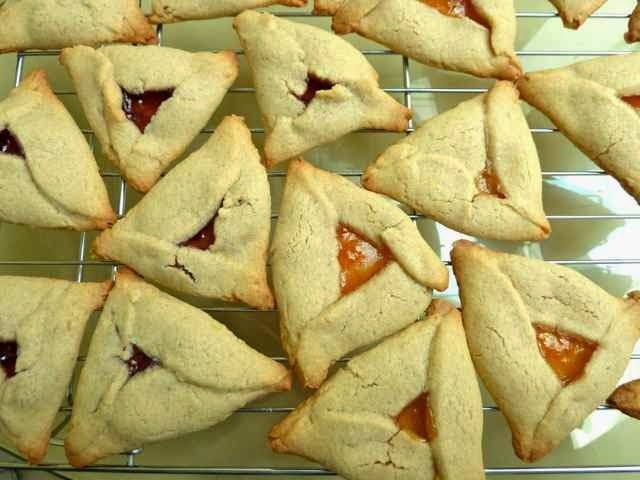 Hamantaschen means ‘Haman’s pockets’. Haman is the villain in the story of Esther. There are many recipes for this cookie. Some dough comes out soft, some crisp, some is made with yeast and is more like bread or pastry. The dough is filled with many things, most typically with preserves of apricot, raspberry & prunes; poppy seeds; nuts and chocolate. The dough in this recipe is soft and cookie-like. For a filling I used apricot, raspberry and plum preserves & jams that I had on hand. 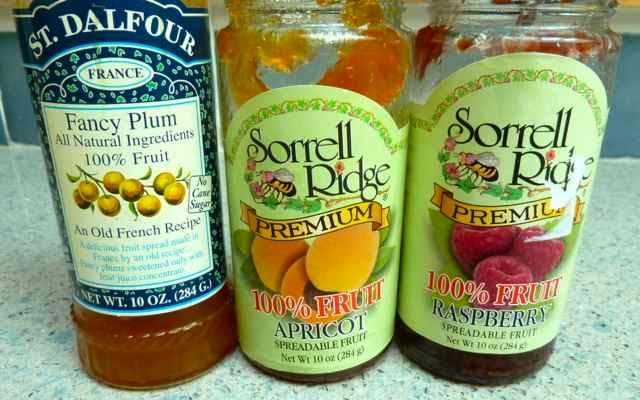 Oddly enough, even though my motto is everything is better with chocolate, I like these best with fruit preserves. With the vegan version, the dough was softer and more difficult to work with and shape than with the butter and egg version. Instead of rolling out the vegan dough I chilled it, scooped out portions, rolled it into a ball and flattened the ball with a flat bottomed cup. 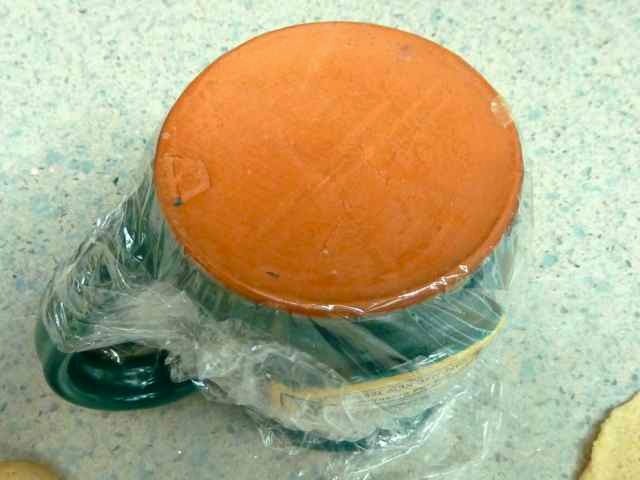 I wrapped the cup bottom in plastic wrap to keep the dough from sticking to the cup. This worked nicely. 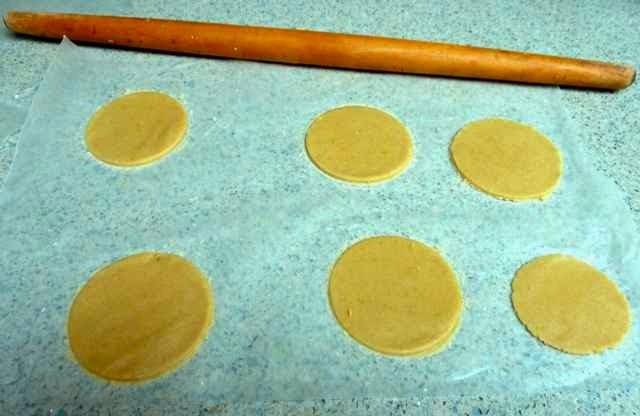 I also flattened the cookie dough into circles directly on the baking sheets to keep them from losing their shape while trying to transfer them. Some people prefer to make the triangle shape by pinching the corners together. This never works well for me, the corners usually open during baking and the filling comes out. So, I prefer to use the folding the dough over method and then I gently press the dough together at the corners. This works much better, but some cookies will have jam breaking out no matter what. Do not make the dough too thin, 1/4 inch or a little more is best to make intact cookies. What it looks like when the filling comes out during baking. I made the dough too thin. After shaping the cookies, be sure to chill them again for an hour before baking, so that they will hold their shape better. Often with gluten free dough baking techniques and methods have to be adapted to make up for the differences in the dough textures. Preserves of choice, I used store bought apricot, plum and raspberry. You will need about 1-1 1/2 cups of filling. What I used for the filling. These are all sweetened only with fruit juice. You can also make prune and other fruit from scratch, chocolate or poppy seed filling. In a small bowl add all the flours, xanthan gum and salt, if using. Whisk together until well mixed. Set aside. In the bowl of an electric mixer or in a large bowl add the butter or margarine and sugar. Cream together until light and fluffy. Add the egg or water, zest of lemon or orange and the vanilla extract. Mix together until well incorporated. Add the flour mixture and mix until the dough is well mixed and holds together. If the mixture is too dry and will not hold together, add water a few drops at a time until it does. Gather the dough into a flattened ball, wrap it in plastic wrap and chill for several hours or overnight. 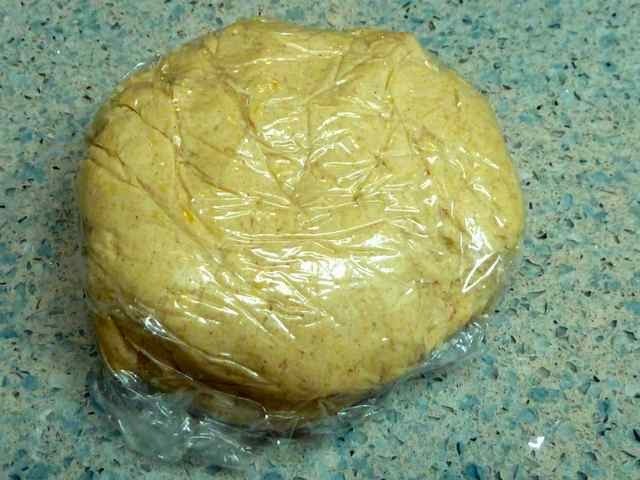 Dough gathered into a flattened round and wrapped in plastic. Ready to go chill in the fridge. Prepare baking sheets by lining them with silpat mats or parchment paper. When chilled, remove the dough from the fridge. For vegan dough see direction #7. 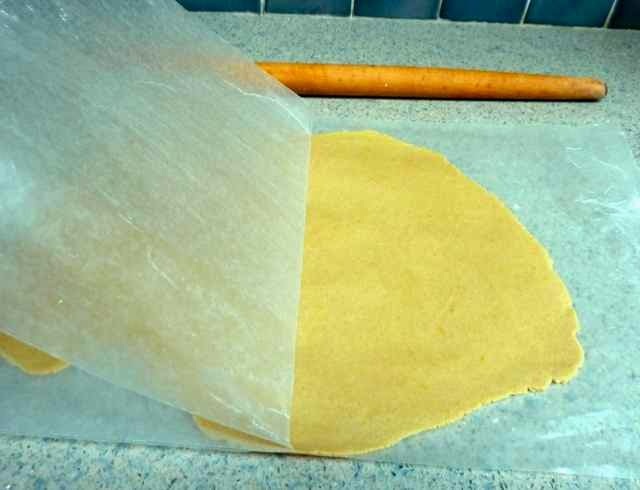 Roll the dough out between two pieces of plastic wrap or lightly floured waxed paper. The dough should be at least 1/4 inch thick and preferably slightly thicker. Remove the top sheet of wrap. Cut out 3” circles using a cookie cutter or the rim of a glass. Re-roll scraps and use to form more cookies until all the dough is used. Chill the cut shapes for 1/2 hour before trying to remove them from the wax paper or plastic. If the dough is too soft it will not keep its shape and will break apart when you transfer the dough to the pan. When chilled move the circles of dough to a prepared baking sheet and space them so that the edges of the circles are just touching each other. 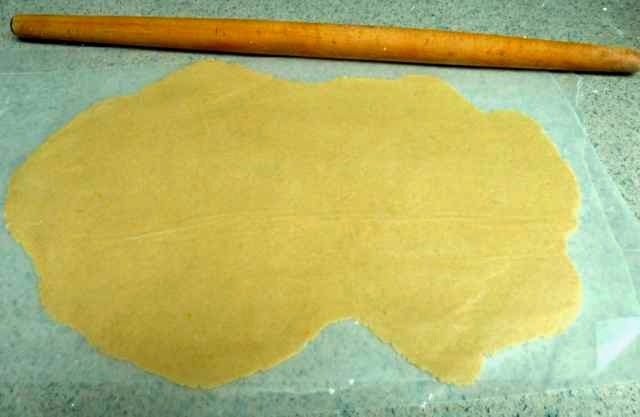 Rolling dough out between two lightly floured sheets of waxed paper. Dough rolled out to ¼-inch thick. Removing the top sheet of wax paper before cutting out rounds with a glass rim. the fridge before transferring them to a lined baking sheet. For vegan dough, remove the chilled dough from the fridge. Use a scoop that measures 1 1/2-inches and scoop out portions of dough. Use your hands to roll the dough into balls. Space the balls of dough out on the prepared baking sheets. Leave 2-inches of space between the balls. Wrap the bottom of a 3-inches wide round flat bottomed cup or glass with plastic wrap. Press the ball of dough down with the bottom of the cup or glass. Each round should be at least 1/4-inch thick. 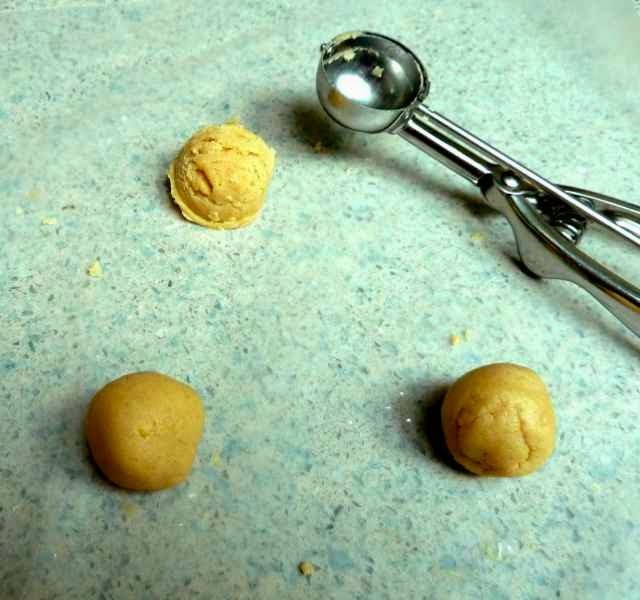 Vegan dough scooped out and rolled into balls. Flat bottomed cup wrapped in plastic. in the process of being formed into shapes. Put about 1/2 tsp. of preserves or filling of choice in the center of each dough circle. Dough with preserved in the center. Use an offset spatula to slide under one third of the edge of the circle and fold it over the filling. Then fold the next third of the dough edge over and then the last one. This will complete the triangle. Left to right - First third of cookie edge folded; second edge & finally the third. Gently press the corners of each triangle to seal the dough and keep the filling from oozing out. Place the raw cookies in the fridge again to chill the dough for about half and hour. 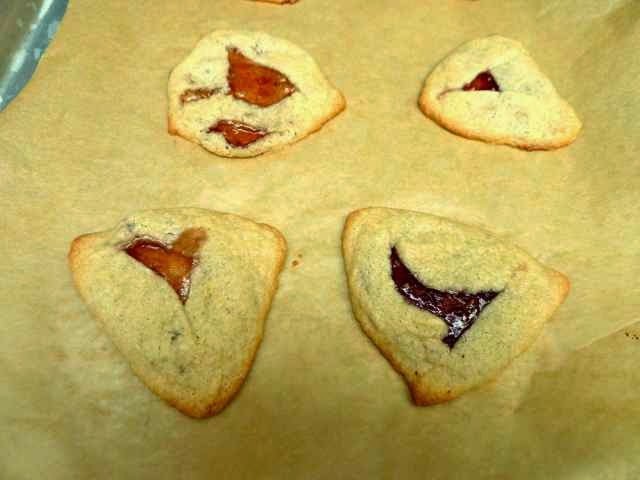 This will help the cookies to keep their shape and spread less while baking. While the shaped cookies are chilling preheat the oven to 350 degrees. Bake the cookies about 12-15 minutes or until they turn a golden pale color. Cool in the pan for 10 minutes before transferring them to a rack to cool completely. If you move the cookies as soon as they come out of the oven they will be too soft and will fall apart. Hamantaschen cooling on a rack. Store the cookies in wax paper lined tins or other containers of choice. They will keep several days at room temperature (in the winter) if it is warm weather you might want to refrigerate the cookies after the first day or two. You can also wrap and freeze the baked cookies for later use. 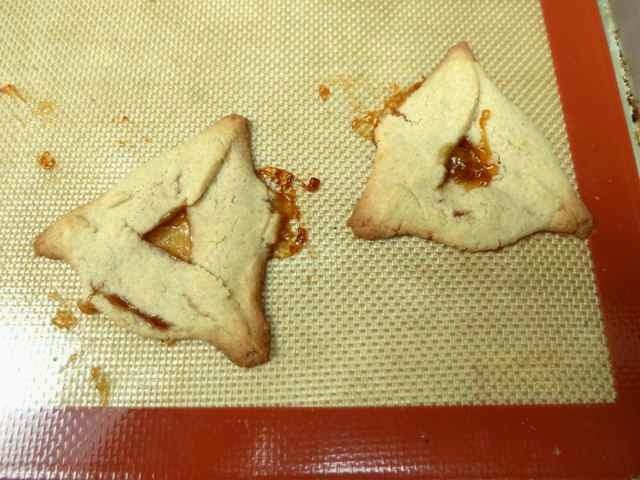 Vegan Hamantaschen. These spread more when baking. 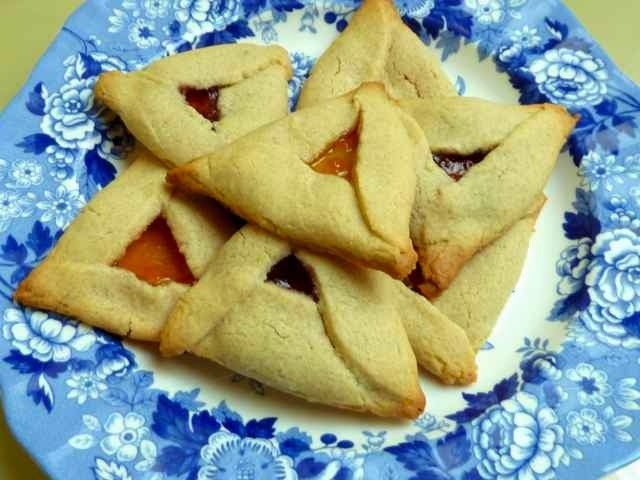 GLUTEN FREE HAMANTASCHEN Makes about 3 dozen Ingredients DOUGH 1 1/2 cups Sorghum Flour 1/2 cup Tapioca Flour 1/4 cup Chickpea Flour 1/2 tsp. Xanthan Gum 1/4 tsp. Sea Salt (omit if using salted butter or margarine) 3/4 cup Unsalted Butter - or for Dairy Free or Vegan use Margarine 1/2 cup Sugar 1 large Egg - or for Vegan use 1/4 cup water 1 tsp. Grated Zest of a lemon or orange 1 tsp. Vanilla Extract Few drops Water - if needed to hold the dough together FILLING Preserves of choice, I used store bought apricot, plum and raspberry. You will need about 1-1 1/2 cups of filling. You can also make prune and other fruit from scratch, chocolate or poppy seed filling. Directions In a small bowl add all the flours, xanthan gum and salt, if using. Whisk together until well mixed. Set aside. In the bowl of an electric mixer or in a large bowl add the butter or margarine and sugar. Cream together until light and fluffy. Add the egg or water, zest of lemon or orange and the vanilla extract. Mix together until well incorporated. Add the flour mixture and mix until the dough is well mixed and holds together. If the mixture is too dry and will not hold together, add water a few drops at a time until it does. Gather the dough into a flattened ball, wrap it in plastic wrap and chill for several hours or overnight. 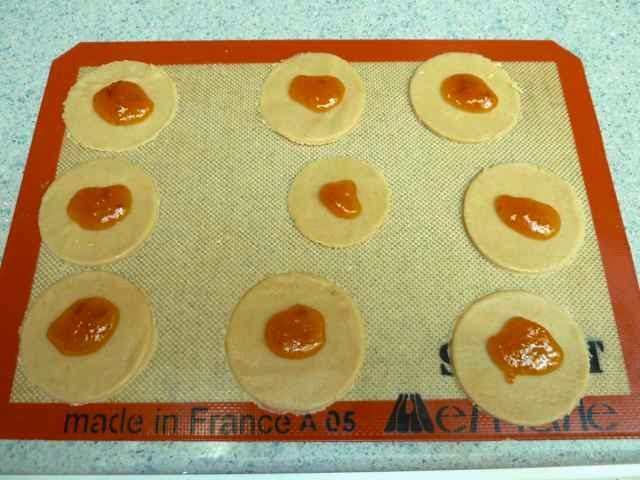 Prepare baking sheets by lining them with silpat mats or parchment paper. When chilled, remove the dough from the fridge. For vegan dough see direction #7. 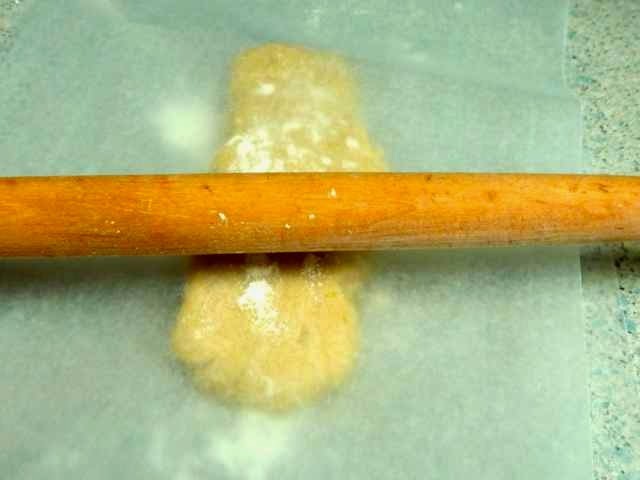 Roll the dough out between two pieces of plastic wrap or lightly floured waxed paper. The dough should be at least 1/4 inch thick and preferably slightly thicker. Remove the top sheet of wrap. Cut out 3” circles using a cookie cutter or the rim of a glass. Re-roll scraps and use to form more cookies until all the dough is used. Chill the cut shapes for 1/2 hour before trying to remove them from the wax paper or plastic. If the dough is too soft it will not keep its shape and will break apart when you transfer the dough to the pan. When chilled move the circles of dough to a prepared baking sheet and space them so that the edges of the circles are just touching each other. 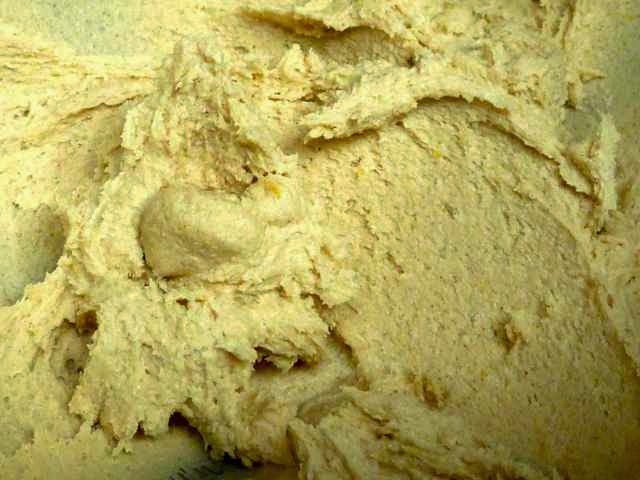 For vegan dough, remove the chilled dough from the fridge. Use a scoop that measures 1 1/2-inches and scoop out portions of dough. Use your hands to roll the dough into balls. Space the balls of dough out on the prepared baking sheets. Leave 2-inches of space between the balls. Wrap the bottom of a 3-inches wide round flat bottomed cup or glass with plastic wrap. Press the ball of dough down with the bottom of the cup or glass. Each round should be at least 1/4-inch thick. Put about 1/2 tsp. of preserves or filling of choice in the center of each dough circle. 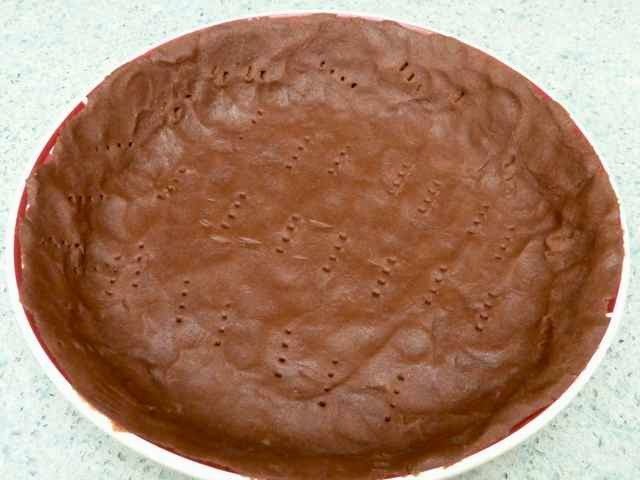 Use an offset spatula to slide under one third of the edge of the circle and fold it over the filling. Then fold the next third of the dough edge over and then the last one. This will complete the triangle. 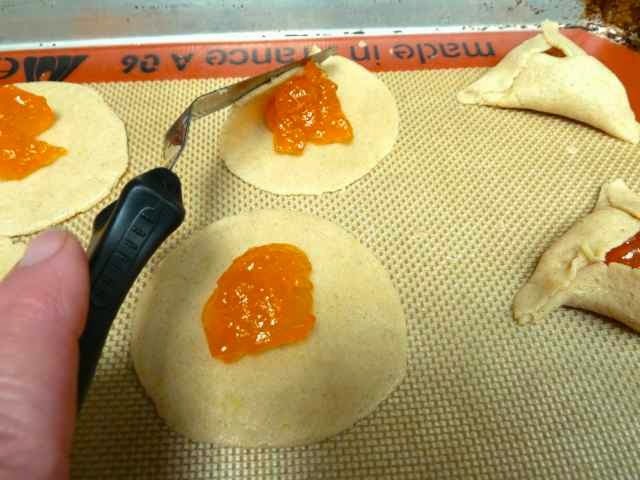 Gently press the corners of each triangle to seal the dough and keep the filling from oozing out. Place the raw cookies in the fridge again to chill the dough for about half and hour. This will help the cookies to keep their shape and spread less while baking. While the shaped cookies are chilling preheat the oven to 350 degrees. Bake the cookies about 12-15 minutes or until they turn a golden pale color. Cool in the pan for 10 minutes before transferring them to a rack to cool completely. If you move the cookies as soon as they come out of the oven they will be too soft and will fall apart. Store the cookies in wax paper lined tins or other containers of choice. They will keep several days at room temperature (in the winter) if it is warm weather you might want to refrigerate the cookies after the first day or two. You can also wrap and freeze the baked cookies for later use. 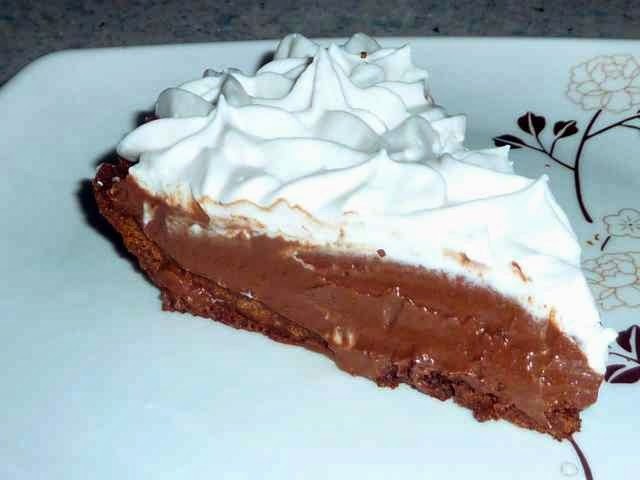 Creamy, chocolatey, rich and luscious Chocolate Cream Pie. 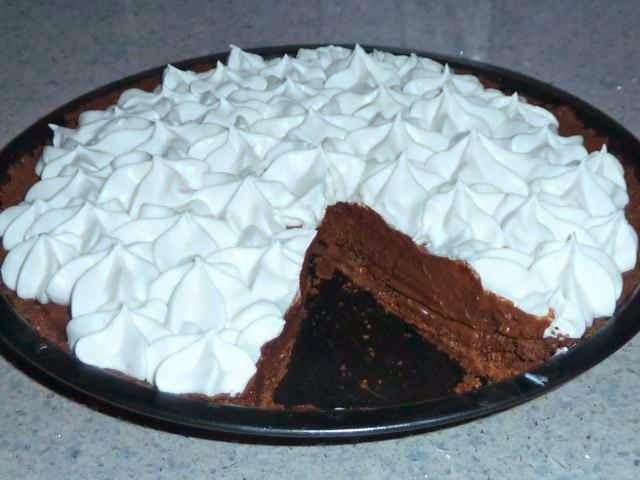 I had been craving chocolate pudding and decided to make a cream pie since I had an empty chocolate cookie crust that was impatiently waiting to be filled. A friend asked me for a gluten free chocolate cookie crust recipe. The saying goes “Why reinvent the wheel?” So I started by converting a (wheat) recipe I found on line that all the reviews raved about. It came out very tough and hard and gritty from the sugar not dissolving. So I then turned by sights to my favorite cookie crust recipe. My gluten free shortbread cookie crust is easy to make, holds together well, is tender and delicious. I replaced some of the flour with cocoa and then increased the sugar. The dough looked wetter when mixed than the non-chocolate crust, but came out with a wonderful texture and taste. Then I decided to make a vegan pie so that my son could also have some pie. For the vegan crust I replaced the butter with margarine and omitted the salt. 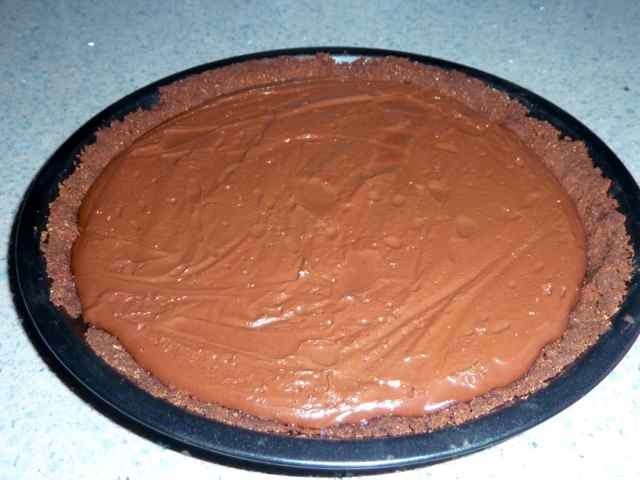 Of course, if you prefer, you can use a non-chocolate shortbread crust or any pie crust of your choice. The dairy pudding recipe has eggs so for a vegan version I used the vegan mousse recipe from my French Tea Party for the filling. 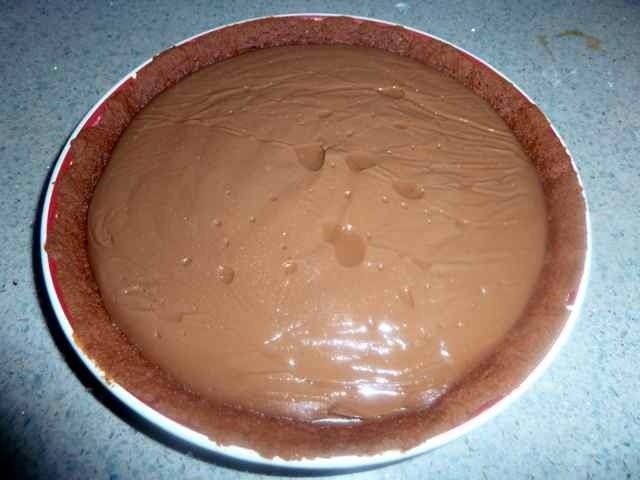 For a dairy free pie I would have made the filling just like the dairy filling, but replacing the milk with a nondairy milk like soy or almond. 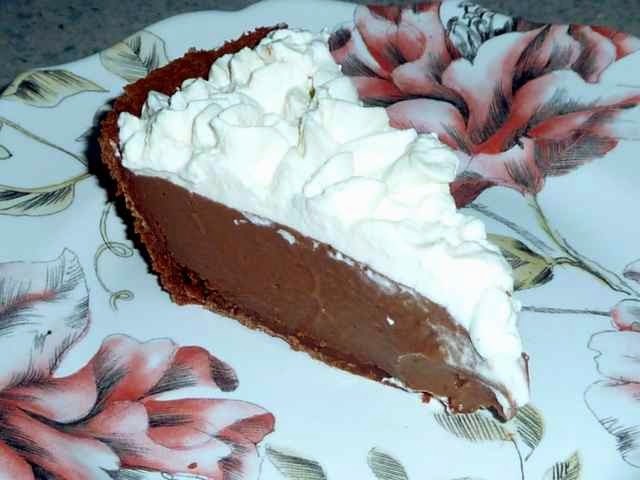 Traditionally a chocolate cream pie has whipped cream on top. I followed tradition. For the vegan or dairy free pie I made coconut ‘whipped cream’. Often coconut whipped cream gets soft, loses its shape and begins to dissolve once it reaches room temperature. I used coconut cream instead of coconut milk. Coconut cream has more of the solids from coconut milk and much less of the liquid. I also added a small amount of xanthan gum to the coconut whipped cream to make it thicker and to hold its shape better. This worked like a charm. The ‘whipped cream’ held its shape at room temperature and in the refrigerator until the final piece was eaten the next day. *You can use 2 squares/2 oz. of unsweetened chocolate instead of the cocoa and butter (oil or margarine). 10 oz. Vegan or dairy free chocolate chips - melted. *My package of silken tofu was 16 ounces so I added an additional 2 ounces of chocolate and an additional Tbs. of maple syrup. In a large bowl add the flours, salt, xanthan gum, sugar & cocoa. Mix well. Using a pastry blender cut the butter into the flour mixture until all the flour is coated. Mine came together like cookie dough. You can also make this with a food processor. (I prefer this method.) Add the flours, salt, xanthan gum, sugar & cocoa to the bowl of the food processor. Pulse several times until well mixed. Add the cubes of butter and pulse several times until the mixture comes together. Place the dough into a 9-inch pie pan and, using your fingers, press the dough down along the bottom and sides of the pan. Prick some holes around the raw crust. Dough pressed into the bottom and up the sides of the pie pan. I pricked holes with a fork. Bake 10-20 minutes depending upon your oven and how thick the crust is. The crust will still be soft to the touch when done and while warm. It will harden as it cools. Let the crust cool completely before filling it. In a large sauce pan add the sugar, cornstarch, cocoa and salt. Mix well. Add the milk (or dairy free milk) and egg yolks. Whisk together with the dry ingredients until smooth. 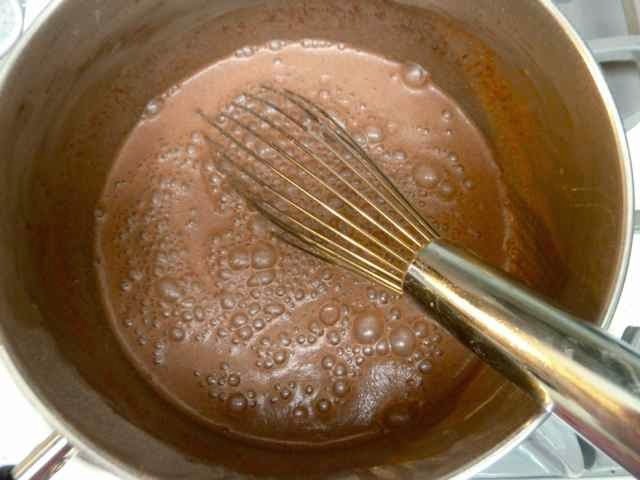 If using melted unsweetened chocolate squares instead of cocoa add the melted chocolate when you add the milk and eggs. Milk mixed into the dry ingredients with a whisk until smooth. Over medium heat cook, stirring constantly, until the mixture thickens and boils. Boil and stir for one minute. Remove from the heat. Add the butter or margarine or oil (omit if using melted chocolate) and the vanilla and mix well. Pour the pudding immediately into the prepared pie crust and spread out evenly with a rubber spatula. Filling poured into the pie shell while hot. Press plastic wrap on top of the pudding to prevent a crust from forming on top. Refrigerate 2 or more hours to allow the pie to set before serving. It was covered in plastic wrap that has been removed. Add the silken tofu to the bowl of a food processor and pulse until smooth, scraping down the sides of the bowl once. Add the melted chocolate, maple syrup and vanilla. Run the food processor until well combined, scrap down the sides of the bowl once or twice. Cover and chill for at least two hours or until firm. 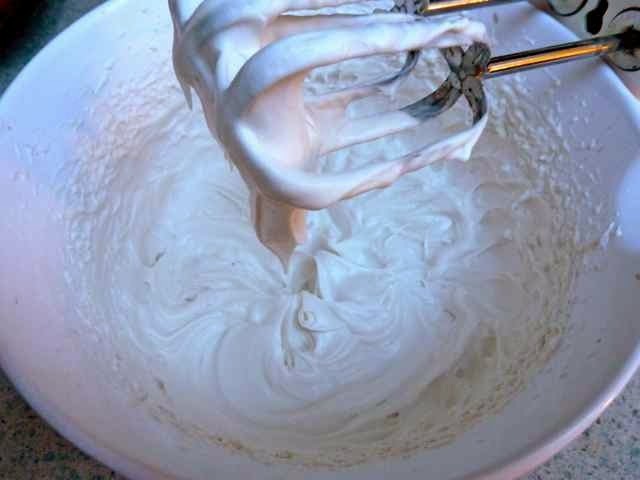 Add the whipping cream to a medium sized bowl and whip with an electric mixer until it just starts to thicken. Add the sugar and vanilla and mix until combined. Taste and add sugar as needed per taste preference. Continue whipping on highest mixer speed until soft peaks form. You can just spread the topping on top of the pie and smooth it out with a rubber spatula. For a fancier presentation, use a pastry bag with a large star tip, fill the bag with the whipped cream and pipe out stars in circles around the entire pie, starting at the center. 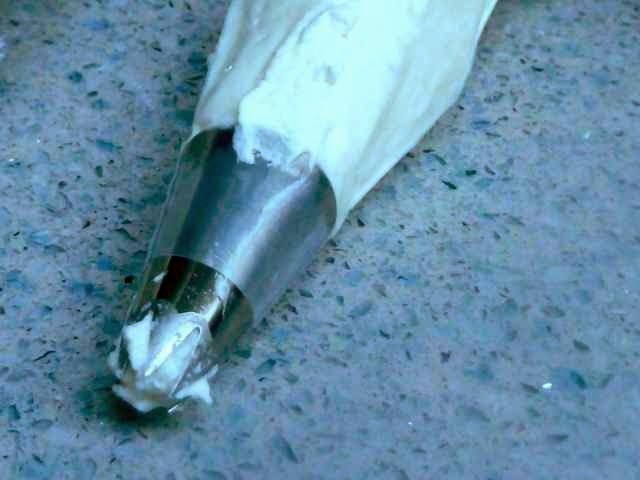 Whipped cream in a pastry bag with a large star tip. Open the can of coconut cream or milk. Scrape out the solid part and reserve the liquid for another use. Add the solid part of the coconut to a bowl with the sugar, vanilla and xanthan gum. Mix on the highest speed of an electric mixer until thick and soft peaks form. Coconut whipped cream after being whipped. Keep the pie refrigerated until just before serving. Store left over pie well covered in the refrigerator. You can freeze pieces, if well wrapped, for later use. Just thaw for 2 hours in the refrigerator or 1/2 hour at room temperature before serving. A slice of the vegan pie. 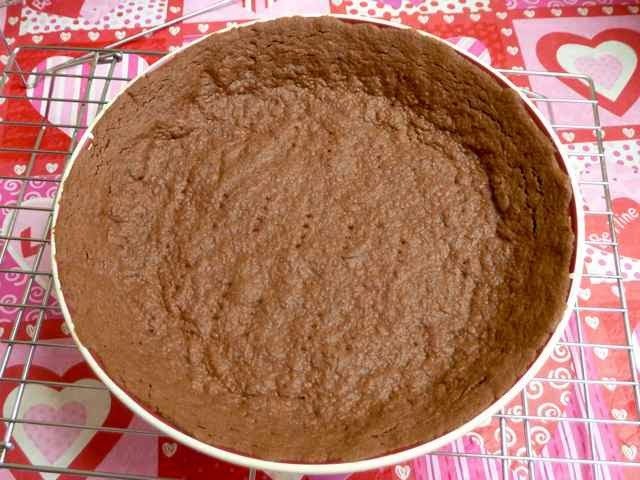 GLUTEN FREE CHOCOLATE CREAM PIE Ingredients CRUST 1/2 cup Sorghum Flour 1/4 cup Tapioca Flour 1/4 cup Chickpea Flour 1/4 cup Cocoa Powder 1/2 tsp. Xanthan Gum 1/4 tsp. Sea Salt (omit if using salted margarine or butter) 1/2 cup Unsalted Butter or for Vegan or Dairy Free use margarine. (for a harder crisper crust reduce to 6 Tbs. margarine) FILLING 1/2 cup Sugar 1/4 cup Corn Starch 6 Tbs. 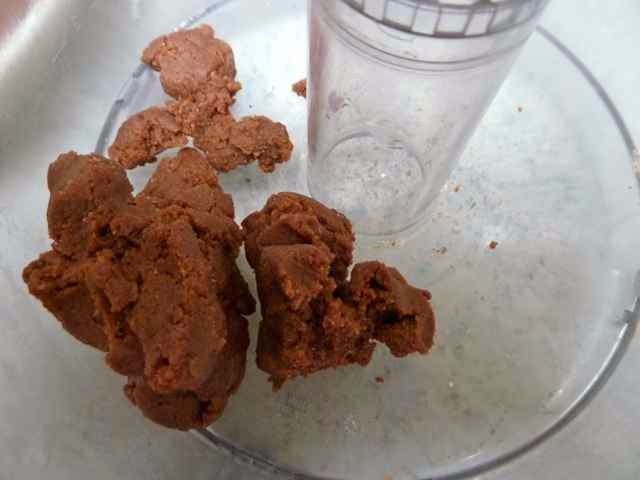 Cocoa Powder* 1/2 tsp. Sea Salt 3 cups Whole Milk (for Dairy Free use nondairy milk such as soy or almond) 4 large Egg Yolks 3 Tbs. Butter (for Dairy Free use Margarine or Olive Oil) * 1 Tbs., plus 1 Tsp. Vanilla Extract. *You can use 2 squares/2 oz. of unsweetened chocolate instead of the cocoa and butter (oil or margarine). Vegan or Non Dairy 1 package/12 oz. * Silken Tofu 2 Tbs. Maple Syrup 10 oz. Vegan or dairy free chocolate chips - melted. 1 tsp. Vanilla Extract *My package of silken tofu was 16 ounces so I added an additional 2 ounces of chocolate and an additional Tbs. of maple syrup. TOPPING Dairy 1 cup Heavy Whipping Cream 3 Tbs. or more per taste Confectioner’s Sugar 1/2 tsp. Vanilla Extract Vegan or Dairy Free 1 can/14 oz. Coconut Cream or Coconut Milk (full fat) - refrigerated several hours or overnight 1/4 cup Confectioner’s Sugar (or to taste) 1 tsp. Vanilla Extract 1/4 tsp. Xanthan Gum Directions First make the crust: Preheat oven to 375 degrees. In a large bowl add the flours, salt, xanthan gum, sugar & cocoa. Mix well. Cut the butter into small cubes and add to the flour mixture. Using a pastry blender cut the butter into the flour mixture until all the flour is coated. Mine came together like cookie dough. You can also make this with a food processor. Add the flours, salt, xanthan gum, sugar & cocoa to the bowl of the food processor. Pulse several times until well mixed. Add the cubes of butter and pulse several times until the mixture comes together. Place the dough into a 9-inch pie pan and, using your fingers, press the dough down along the bottom and sides of the pan. Bake 10-20 minutes depending upon your oven and how thick the crust is. The crust will still be soft to the touch when done and while warm. It will harden as it cools. Let the crust cool completely before filling it. Next make the filling: Dairy or Dairy Free In a large sauce pan add the sugar, cornstarch, cocoa and salt. Mix well. Add the milk (or dairy free milk) and egg yolks. Whisk together with the dry ingredients until smooth. If using melted unsweetened chocolate squares instead of cocoa add the melted chocolate when you add the milk and eggs. Over medium heat cook, stirring constantly, until the mixture thickens and boils. Boil and stir for one minute. Remove from the heat. Add the butter or margarine or oil (omit if using melted chocolate) and the vanilla and mix well. 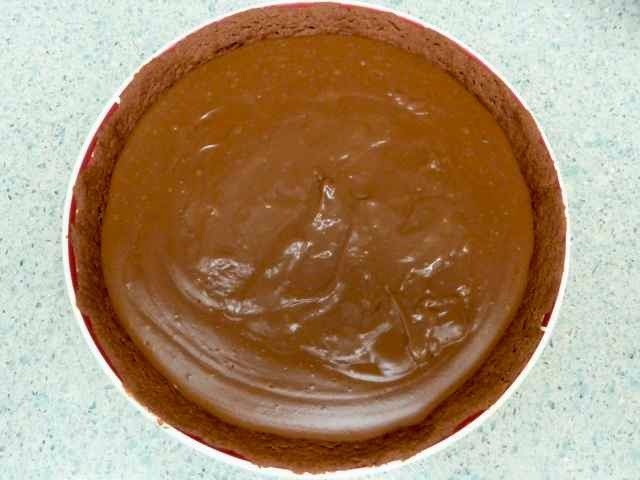 Pour the pudding immediately into the prepared pie crust and spread out evenly with a rubber spatula. Press plastic wrap on top of the pudding to prevent a crust from forming on top. Refrigerate 2 or more hours to allow the pie to set before serving. Vegan or Dairy Free Add the silken tofu to the bowl of a food processor and pulse until smooth, scraping down the sides of the bowl once. Add the melted chocolate, maple syrup and vanilla. Run the food processor until well combined, scrap down the sides of the bowl once or twice. Pour the filling into the prepared pie crust. Cover and chill for at least two hours or until firm. Next make the topping: Dairy Add the whipping cream to a medium sized bowl and whip with an electric mixer until it just starts to thicken. Add the sugar and vanilla and mix until combined. Taste and add sugar as needed per taste preference. Continue whipping on highest mixer speed until soft peaks form. You can just spread the topping on top of the pie and smooth it out with a rubber spatula. For a fancier presentation, use a pastry bag with a large star tip, fill the bag with the whipped cream and pipe out stars in circles around the entire pie, starting at the center. Vegan or Dairy Free Open the can of coconut cream or milk. Scrape out the solid part and reserve the liquid for another use. Add the solid part of the coconut to a bowl with the sugar, vanilla and xanthan gum. Mix on the highest speed of an electric mixer until thick and soft peaks form. You can just spread the topping on top of the pie and smooth it out with a rubber spatula. 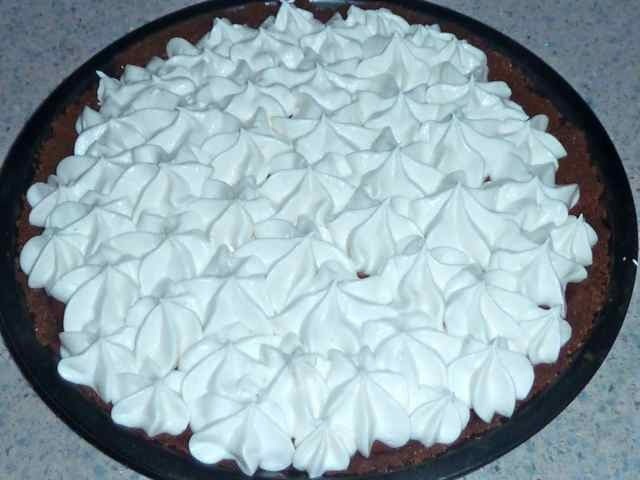 For a fancier presentation, use a pastry bag with a large star tip, fill the bag with the whipped cream and pipe out stars in circles around the entire pie, starting at the center. Keep the pie refrigerated until just before serving. Store left over pie well covered in the refrigerator. You can freeze pieces, if well wrapped, for later use. Just thaw for 2 hours in the refrigerator or 1/2 hour at room temperature before serving.